In the year 2003, Registered as St. Gaspar Charitable and Educational Trust . The main aims of the trust are to take care of the Orphaned/Abandoned Children and provide them with Proper Shelter, Food, Education, Health Care etc. To provide Education to the Underprivileged kids of the society and help people who are in needy. All our Projects are summed up as Gaspar Foundation. The Foundation which strives to help the children’s of the society and uplift them with proper care, education and moral values. Founded in the year 2003 by our founder Ms. Stephany Bridgit Tauro, She is a Spinster and a retired teacher who spent her whole life for the underprivileged kids. Even Mr. Nelson a very young, Dynamic and Energetic person decided to help and joined the trust and so we planned to build a home for the kids. Currently we have 12 girls and we are staying at a small rented place in a village with minimal facilities but we are managing it below is the picture of our current home. By seeing all the problems which the girls are facing in the society we decided to build a new home for the girls. So we began the construction of the home. In the month of june 2016 with a help from few people we started the foundation and the pillars. In the month of june as people helped us with cement bags and funds we completed the 2nd floor mold on june 2017. Currently the building is half complete but still Plasting, Plumbing, Wood works, Granite, Painting etc a long way to go. Who will get benefited from the New Home? The new home can help around some 30 to 35 Underprivileged girls with all the facilities such as Proper Shelter Home, Toilet Facilities, Study Room, Medical Room, Prayer, Yoga room , Library, Av etc above all a place where all the girls can stay safely and get proper education. As you can see almost 50 % of the building is done with the help of lots of people. We found that with the help of Milaap we can reach still a lots of people and finish the building construction by November . Lots of people will have a doubt about the funds usage, so we urge lots of people to give us by materials too like Cement bags, Granites, Etc. We will keep on updating the usage of funds and the accounts statement regularly and even the construction status. As the saying goes, "Drops and Drops fills the bucket" Hope you will help us with a drop in building a home for the kids. Thank you all for being generous and donating for the construction of the children's home. You were all a big part of our journey! Your support has been truly amazing. Here is an update. 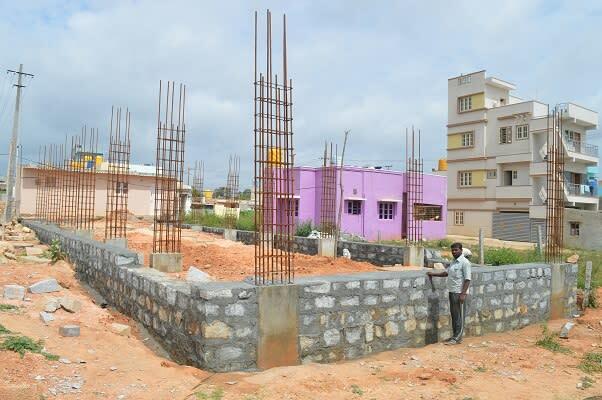 The home is almost complete and ready for the next academic year where 50 underprivileged girls will get proper shelter, food and a home with all the facilities. Will soon upload a video of the home. Thank you all for your donation the previous donation was used for purchasing school bags and dresses for all the children. The current amount will be used for the construction of the home. 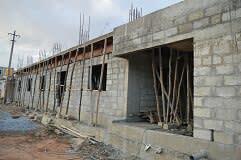 The Ground floor and 1st floor is complete only the second floor and interiors are pending. Do share this campaign further with your friends and family. Thank you once again. Will keep everyone updated.